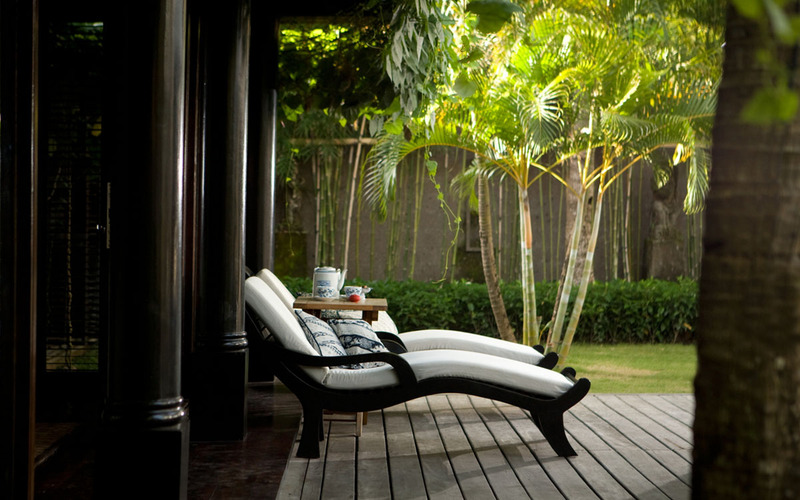 From $ 1,586AUD per night We have direct contracts with most villa owners. We don't add any booking fees. We are 100% transparent with no nasty surprises. 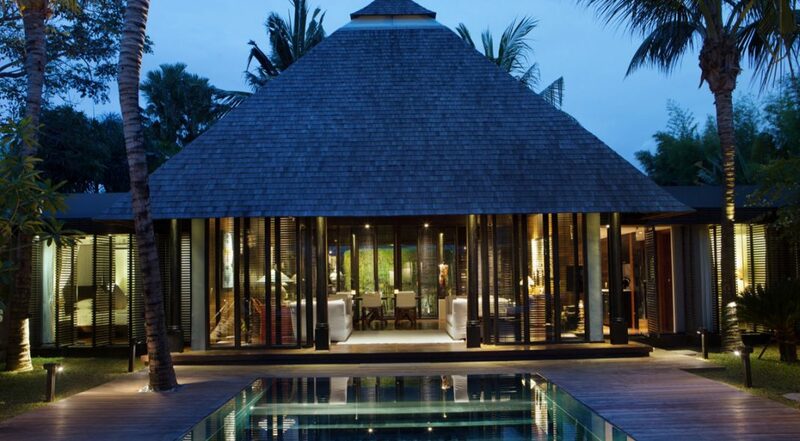 5 minute walk to Ku De Ta beach - rent this now! 5 minute walk to Ku De Ta and all those great restaurants, bars, top cafes and shops along ‘Eat St’ – this villa is in a central & very popular location. 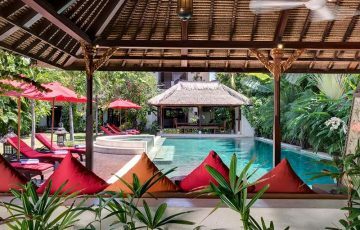 Villa Samuan is a world class 5 bedroom Seminyak holiday villa rental located in the beach side area of exciting and vibrant Seminyak. It’s part of a two villa private estate comprising a 3 bedroom villa, Villa Siki and a 2 bedroom villa, Villa Kalih. 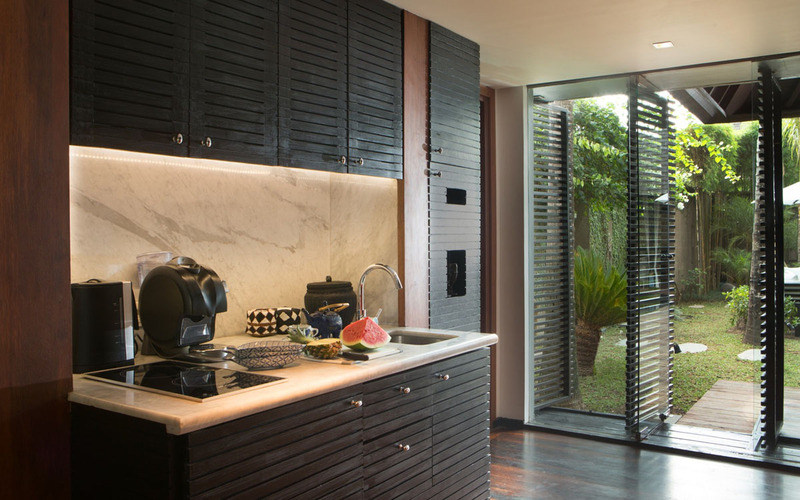 When combined, by simply sliding back wall partitions in the garden, you have an amazing 5 bedroom tropical holiday villa that is, Villa Samuan. 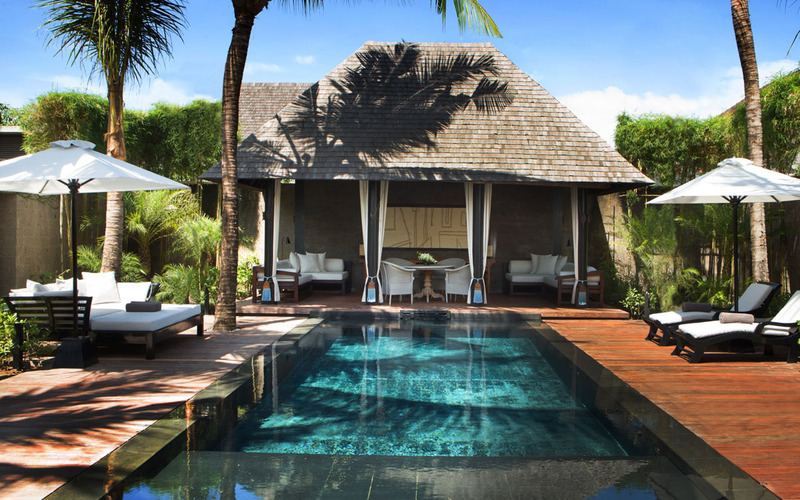 When combined, guests will have access to not one, but two beautiful swimming pools and be waited on hand and foot by a veritable army of 12 Balinese hospitality experts. 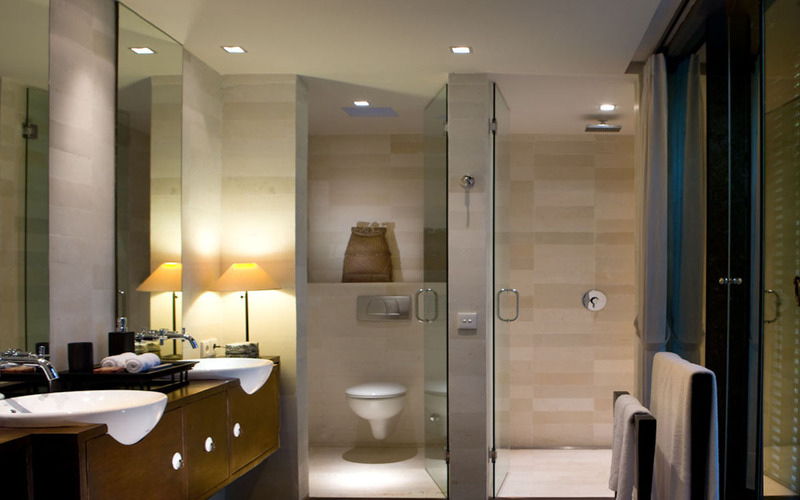 Five gorgeous private en-suite bedrooms, provide deluxe accommodation for up to 10 guests. 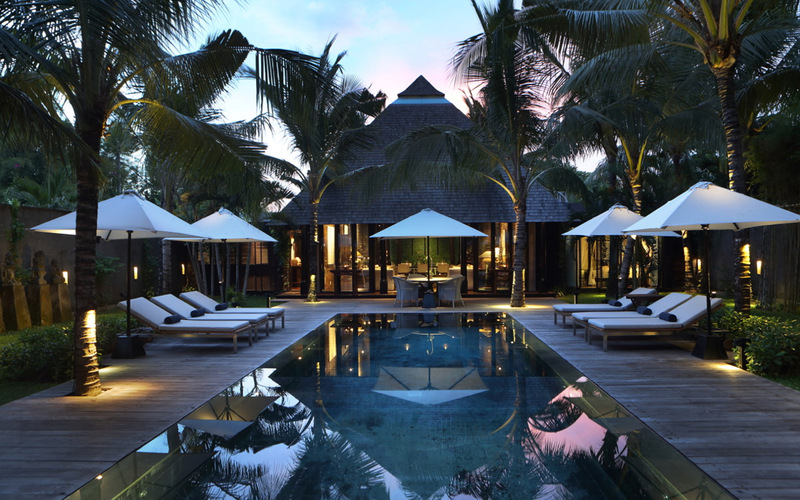 Villa Siki’s sparkling pool is the centre piece of the outdoor setting, 12 meters in length it is flanked by a spacious iron wood decking with stylish sun recliners. 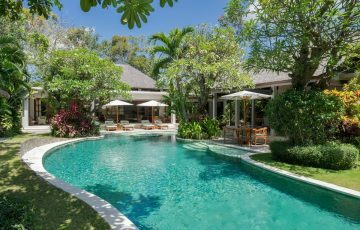 The pool of Villa Kalih is 9 meters in length and features the same design and layout with plenty of space on the timber pool deck to enjoy the sun. 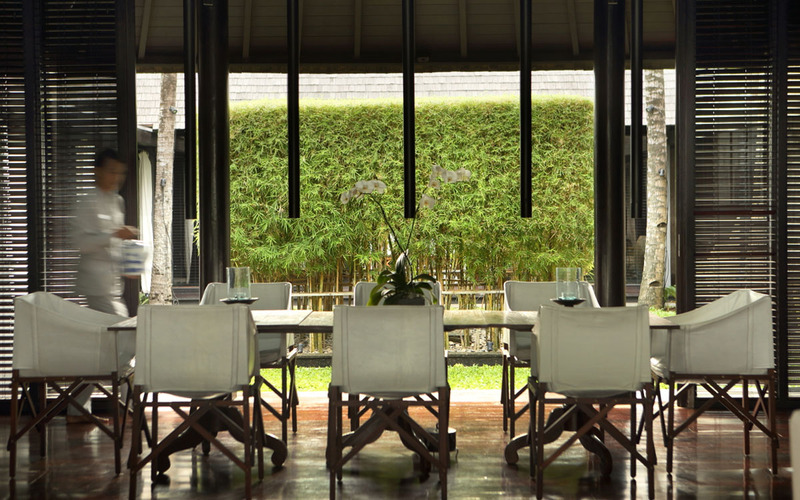 You can ask the chef to prepare lunches out by the pools or maybe an alfresco dinner at the poolside dining tables or inside the large poolside Gazebo at the end of each pool. 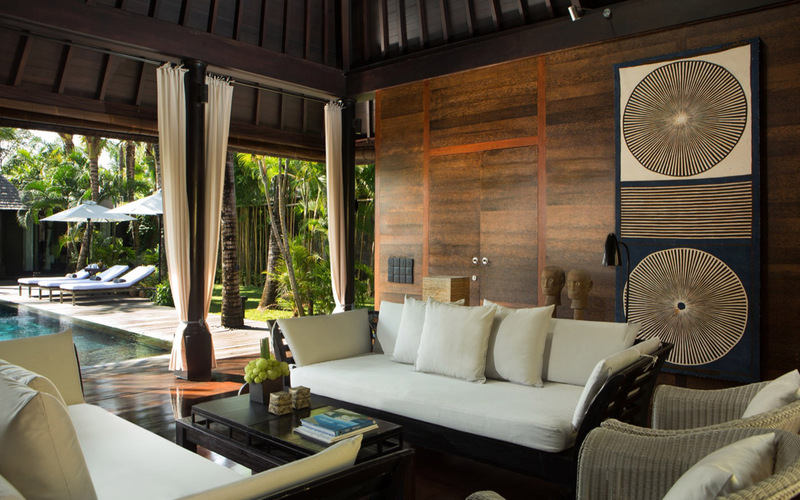 Both villas are done out in the same interior design elements, decorated with an array of handpicked Asian artifacts, ornaments and gorgeous works of art from around the archipelago. 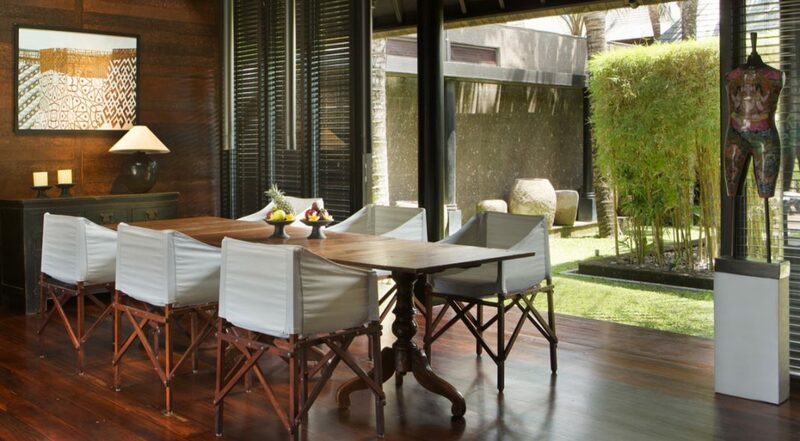 Guests can enjoy meals together in air- conditioned comfort at the stylish dinner tables lined with trendy director’s chairs; Villa Siki can seat 8 and Villa Kalih 6 guests. 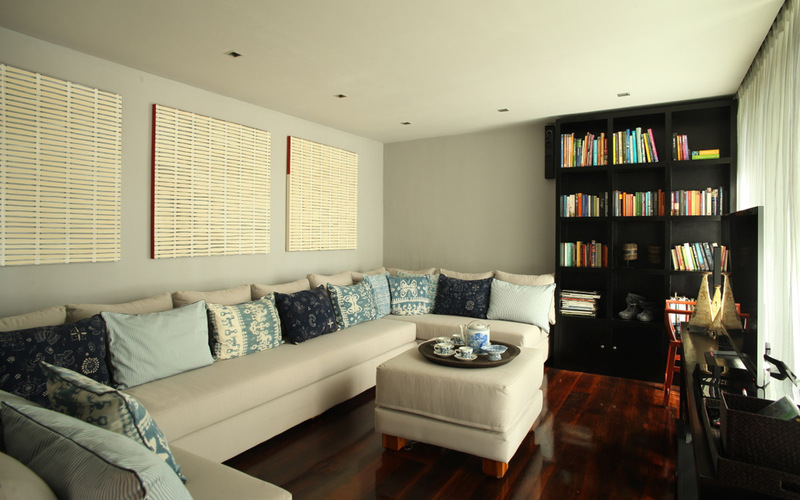 Villa Siki boasts a spacious air-conditioned media room with a plush sofa and a selection of books to choose from. Villa Kalih’s living room has two plush sofas where you can relax together while watching TV, maybe some live sport on the international cable channels. 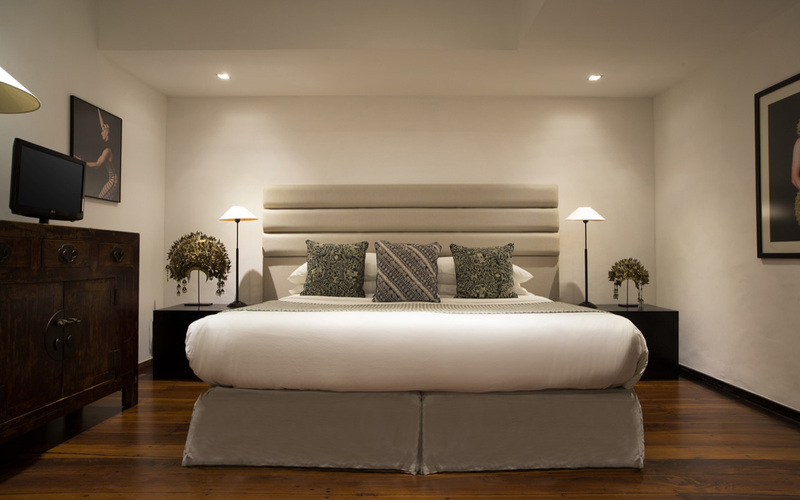 Villa Siki has spacious bedroom suites with premium king sized bedding, rich solid timber floors, wall prints, matching pillows and bed scarves, antique timber furnishings make sure your bedroom time is a luxurious affair. 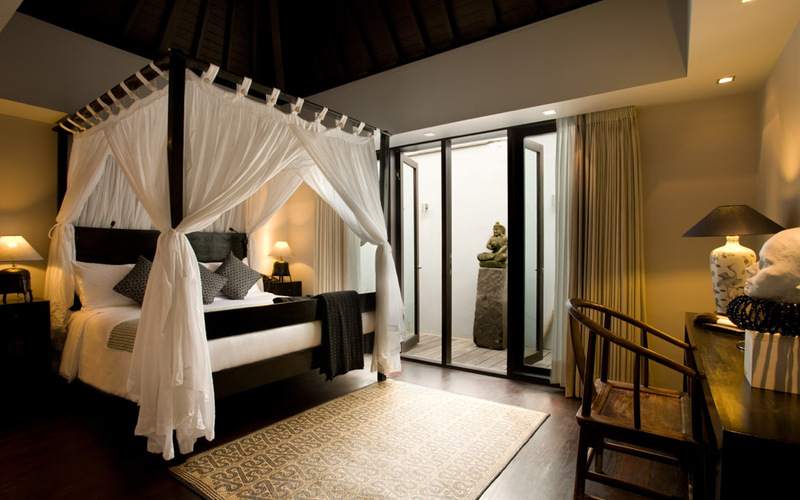 Villa Kalih’s two bedrooms are equipped with flat screen LCD television and DVD players as is the case with Villa Siki. 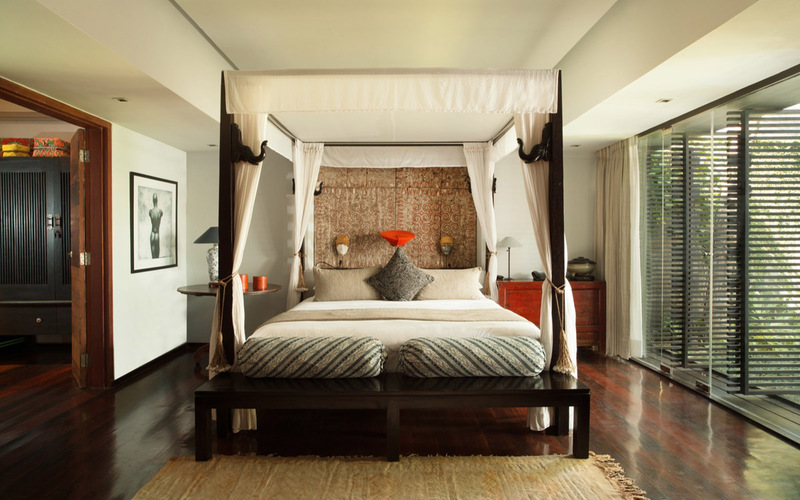 One room features a king size four-poster bed shrouded in white mosquito netting and an en- suite dressing area, leading to the bathroom. 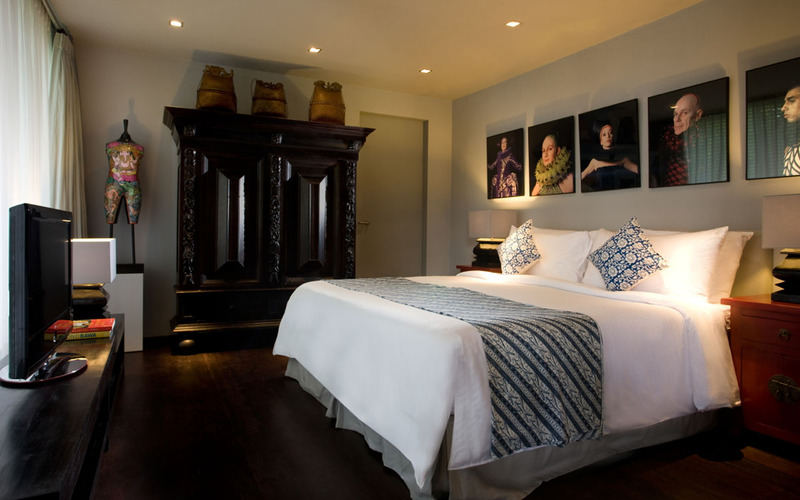 The second bedroom has two single beds that can easily be converted into a king size bed, a separate dressing area and an en-suite garden view bathroom. 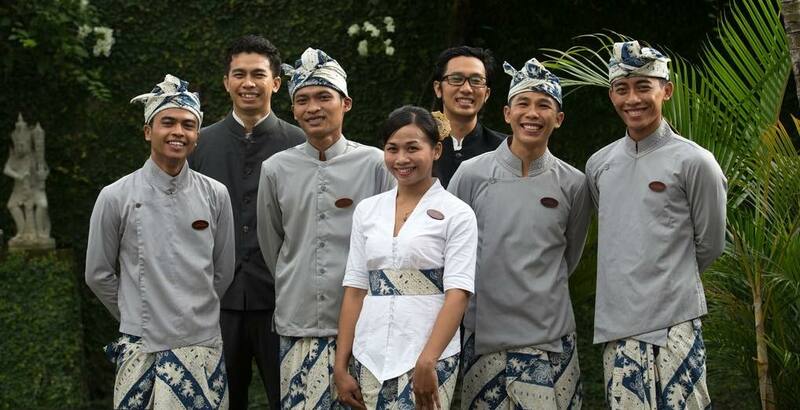 Guests will be overwhelmed with the sincere warmth of the Balinese staff at Villa Samuan. 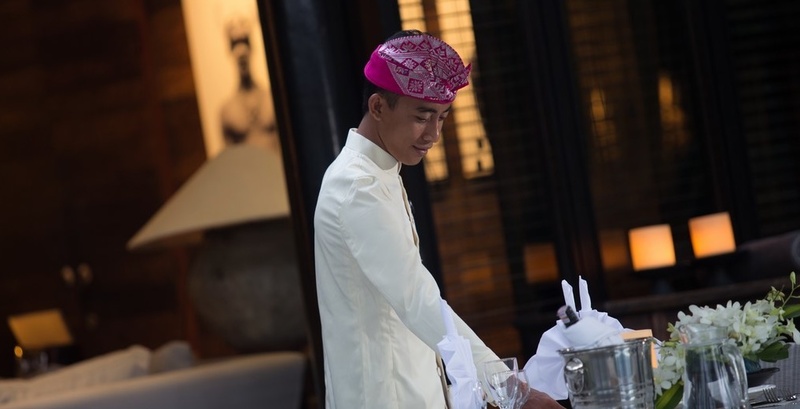 Professionally trained, they will ensure the cleanliness of the villa on a daily basis and provide breakfast catering. 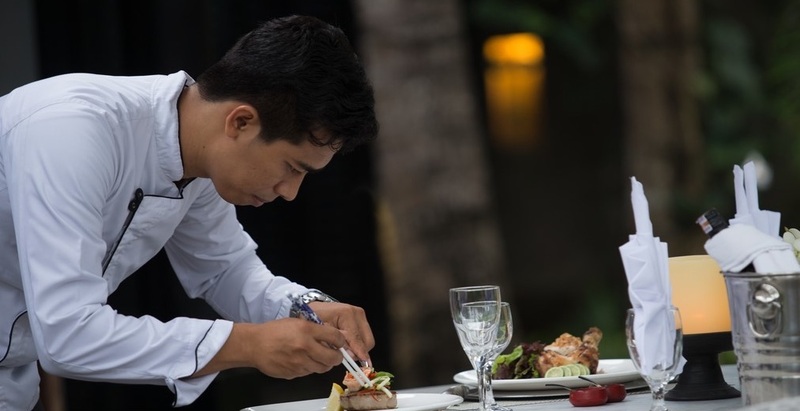 Should you require the services of a professional chef, babysitter, masseuse, driver or any other services, the staff will make all the arrangements for you. 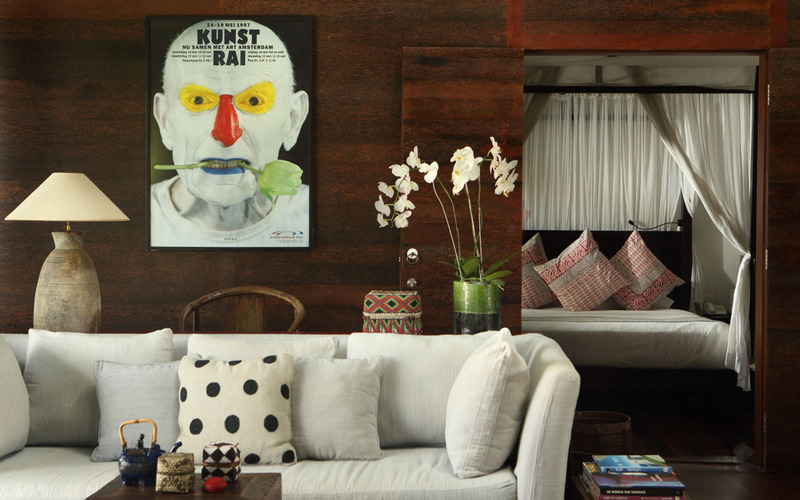 It’s hard to beat Villa Samuan’s prime location; you are just a short stroll to Seminyak’s fabulous cafes, chic boutiques, and classy restaurants and in vogue night spots. The Corner house is great for a morning coffee, or late brunch. Walk down to Seminyak Square where you can do all your grocery shopping, try the best fish and chips in Bali at Man Fryday’s or watch some sport at Adrenaline sports bar. 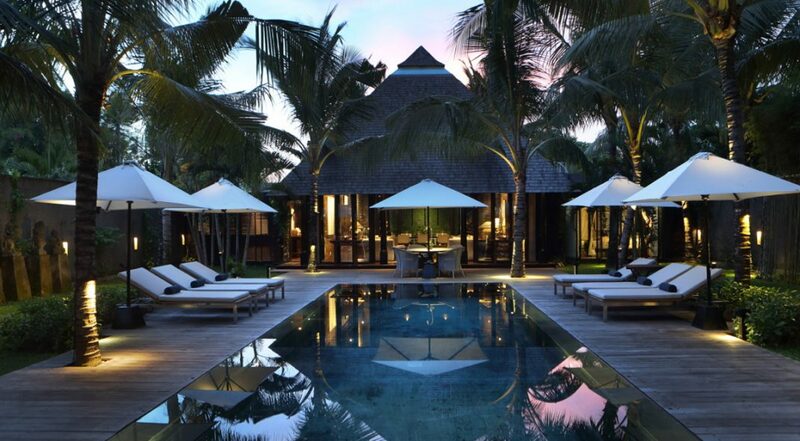 Stroll a little further to Ku De Ta for afternoon cocktails to welcome in a magical Bali Sunset. 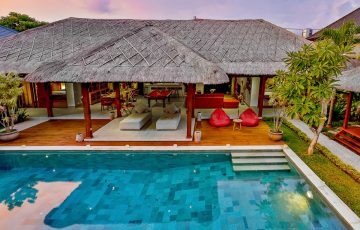 To view other similar 5 bedroom Seminyak Villas near Eat Street or see more luxury family friendly Bali Villas please browse this website or contact our reservation team. 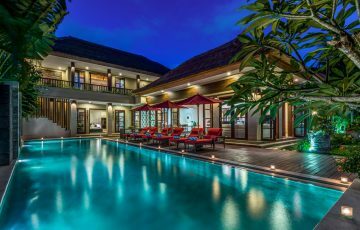 Book your Seminyak holiday at Villa Samuan well in advance as this is a really popular villa especially if your planning a trip to Bali during the Australian school or public holidays. Personal Assistant for the guests who can organise tours, car hire, in villa spa treatments and massage or dinner parties and events. 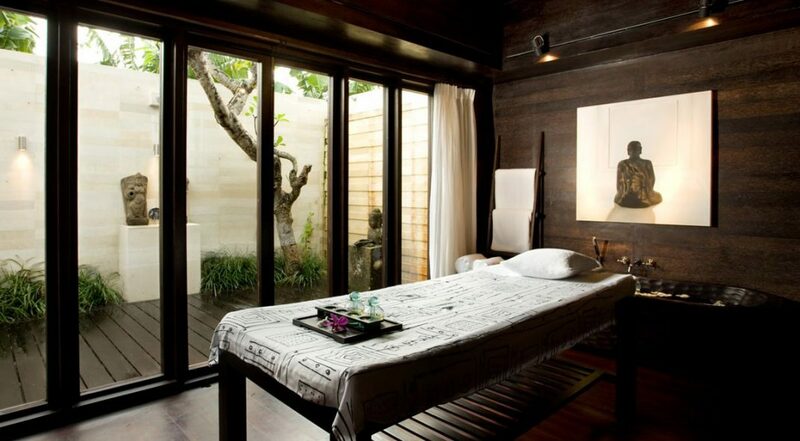 It really makes a huge difference where you stay in Bali. 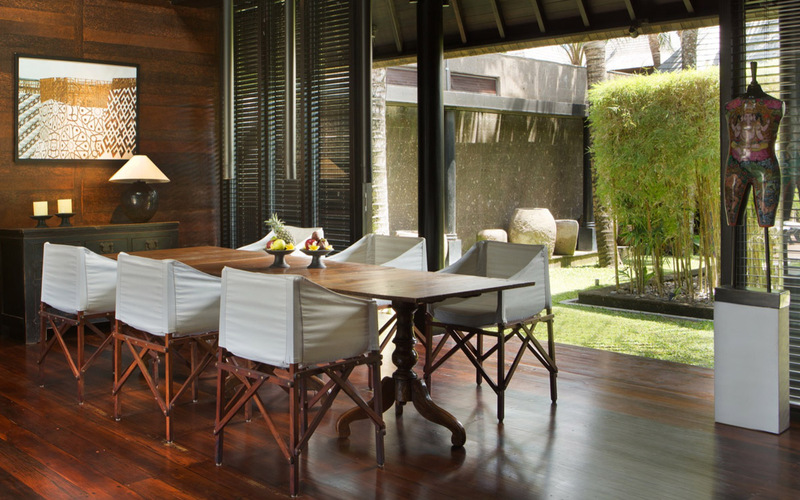 Areas vary so much and this is why we love Seminyak. My family ( there was 6 of us) and we lucky enough to holiday at the Villa Samuan. This was the best villa we have ever stayed in and from the moment we arrived and were greeted by the staff with a cool towel, warm smile and welcome drink, to our daily breakfasts that was served to us every morning right through to the day we left, this was our amazing oasis. It kept on getting better as the days rolled by in a state of heavenly bliss. One of the things I loved most about the villa other than it's incredible location was the way in which the staff took pride in their job and the way they cleaned the villa every day. It was spotless and clean. 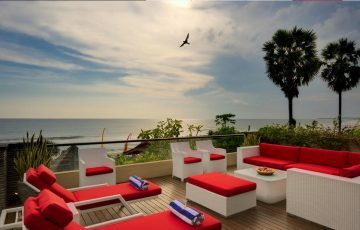 I have no hesitation what so ever in recommending Villa Samuan to anyone wanting to be near the beach in a quiet area yet really close to some top restaurants. Give it a go you will love it as much as we did, Im sure! Impeccably presented with loads of space. We fell in love with the place once we saw it online and the anticipation of coming here grew as the day of us leaving to Bali approached. As soon as we walked through the gates and layed eyes on the pool, we all said out loud a communal WOW. I hate to use cliches here but if I had to summise Samuan in a few words it would be style, sophistication and classy. It has so many things going for it that its' hard to describe it here. From the courteous staff to the fabulous interiors, it was a really stunning place for our family to live the high life for a while. Being waited on like this is not the way we are used to living and for us it was a real experience. Memories are made of this and I really hope that we can come back here again soon. 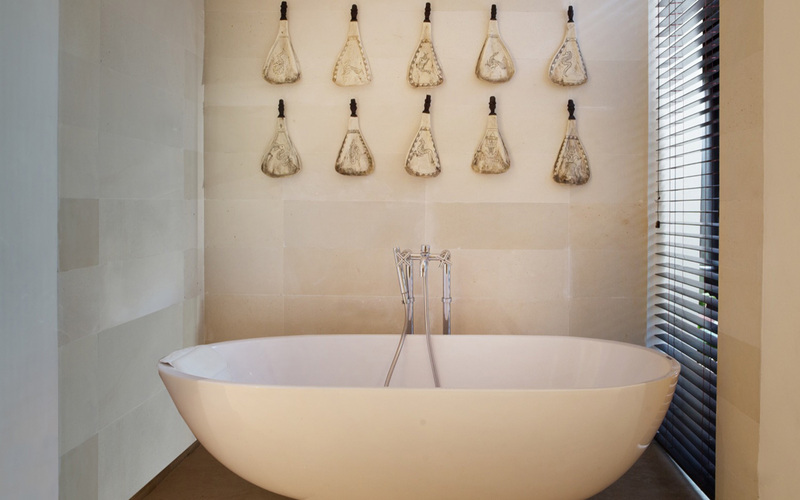 Sensational is a word we see used all the time when describing a villa. In this case it's an understatement The villa is better than sensational! 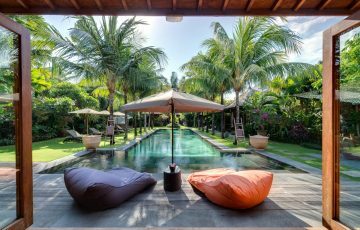 If your looking for that 5 star villa that's in one of the best areas in Seminyak, you should really think about staying here for a few days. A week would be better! Gorgeous interiors and friendly staff ( who knew magically when to appear when we needed something and would be very inconspicuous) make this a holiday experience like we have never had before. 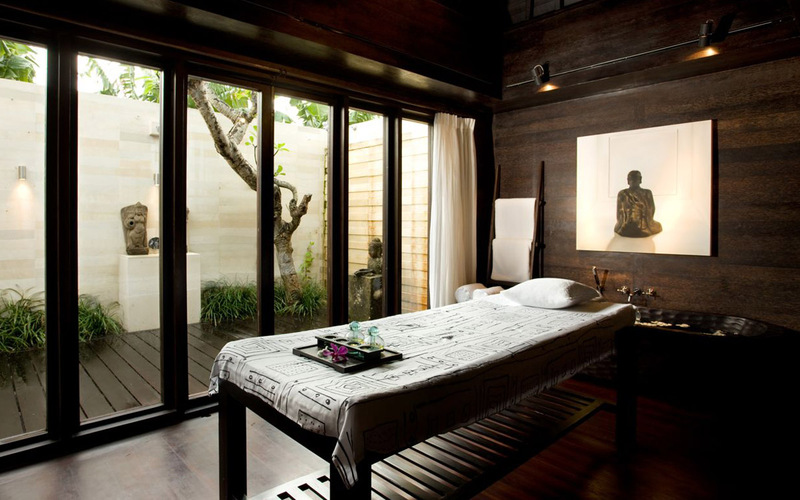 If you have never stayed in a villa before and are used to doing it the old ways in a hotel, then you had better realign your thinking and book this place. We spent the Christmas / New Year period here and felt as though we could have extended our stay. I loved the party we had on NYE prepared for us by the manager. It was these magical touches that I will remember so fondly. We actually spent more time in the villa than outside as we really were reluctant to leave. having said that, we did a few excursions to Seminyak Square and Village which were within easy walking. What else can I say except that I'm counting down the days till I can come here again and regroup with my new friends ( the staff) and enjoy the freedom of living in this tropical oasis. 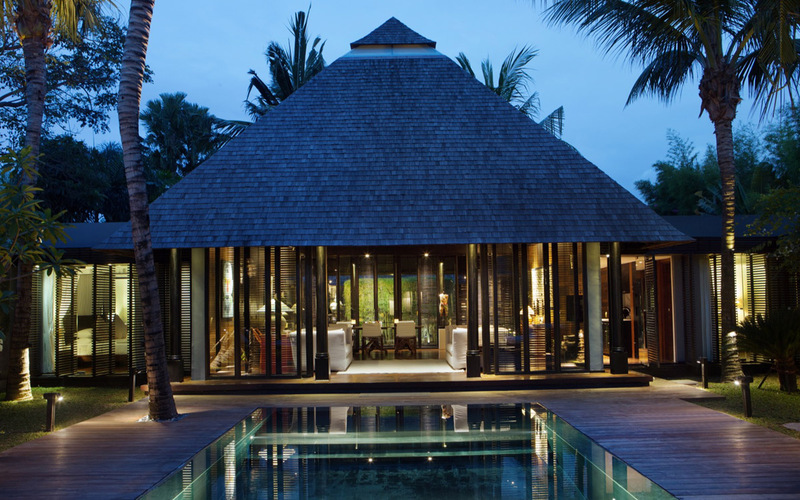 We stayed ten nights in this gorgeous, fabulous villa which went well beyond our expectations. 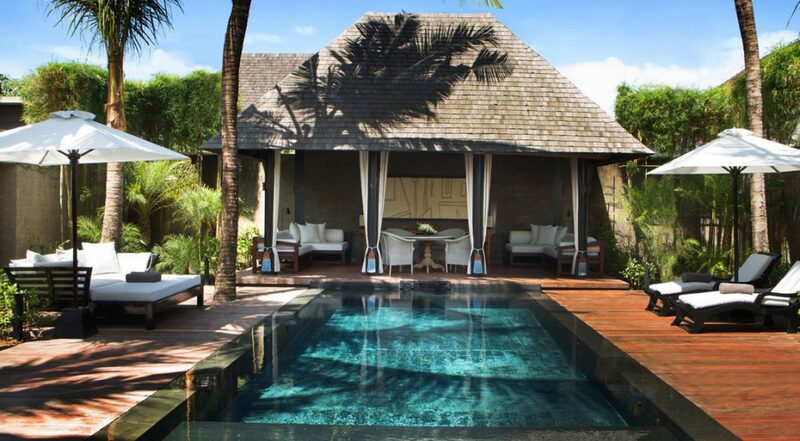 Great pool, large bedrooms and a relaxed and very chilled ambiance all I might add in a very handy Seminyak location. Staff kept us happy and those breakfasts were a fab way to start the day. 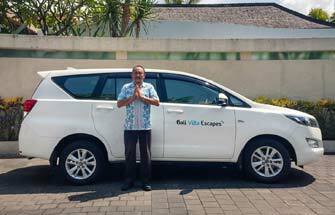 As a frequent traveller to Bali for over the last 8 years Villa Samuan is 100% the best place to stay in Seminyak for a family! 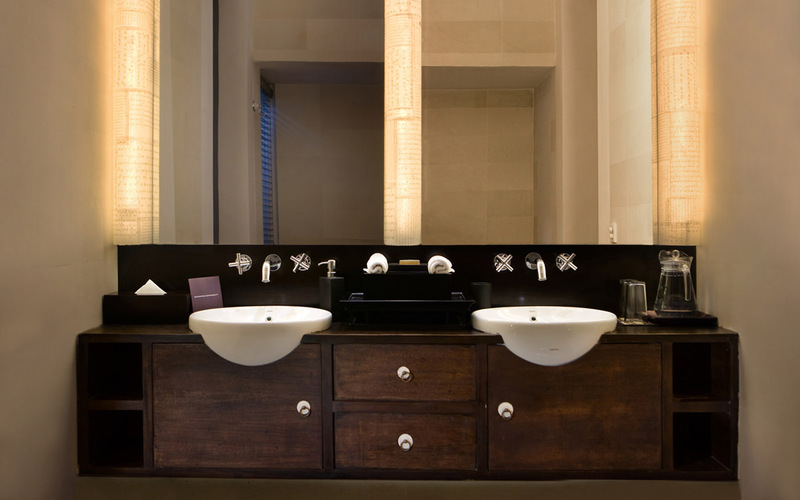 Stylish, wonderfully decorated and well looked after and the attention to detail in the design was seen throughout the place. The location was so good!! 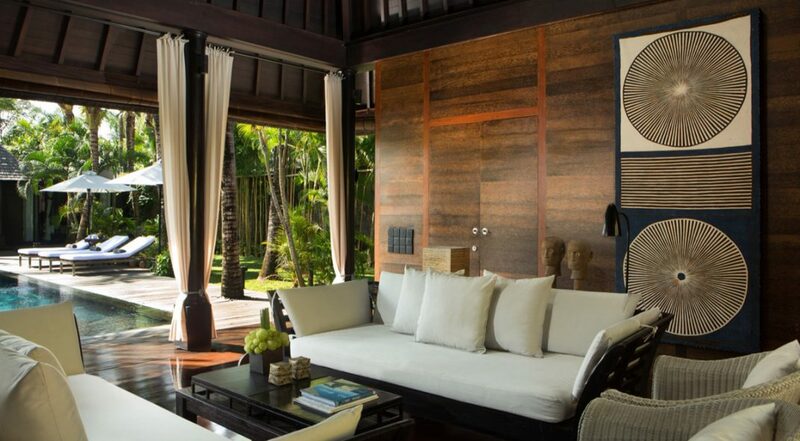 You could walk to Ku De Ta beach in 3 minutes. So easy and we passed some nice shops along the way and chatted with the locals. Getting to central Seminyak ( Seminyak Square) was also easy...just get a taxi and in 5 min ( depending on the traffic) you were there. Breakfasts were tasty and very healthy - loved those fruit salads. The kids have the best time in the pool and we loved catching up on all our holiday reading. Thanks to Putu and Nyoman who were amazing.